Special Counsel Robert Mueller concluded his investigation and the full redacted report is expected to be released later this week. Since Attorney General William Barr wrote his summary of Mueller's findings, President Trump has continually reminded folks that absolutely no collusion took place. He's been working to move past the Russia probe, not because any collusion took place, but but because nothing was found. 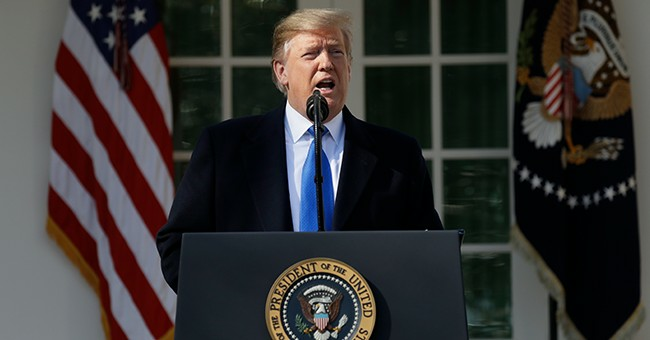 Trump's goal is simple: to continue with his agenda and tackle illegal immigration, something he campaigned heavily on during the last election. So, let's get this straight. President Trump is supposed to do absolutely nothing, say absolutely nothing while the full Mueller report is prepared? Why are the Democrats acting like Trump's stance on illegal immigration is suddenly new? He campaigned on the issue. He's continually fought for a border wall to be built. Hell, he even shut down the government over the very issue yet we have mainstream media outlets like The New York Times acting like Trump is suddenly pulling this policy stance out of thin air. Trump isn't trying to distract anyone from reading the Mueller report. If he was, he wouldn't have wanted it to be made public and he would have had his team view the document before it's being released. But guess what? He's not. His team is taking a look at the report at the same time as every other person in America. Trump is trying to move on and focus on what he set out to do: lower taxes, secure our border and make lives better for the American people. He wants his legacy to be more than this garbage Russia investigation that has turned up nothing. But we know the Democrats won't let him have that victory, at least not without a fight.